Getting a good picture of yourself can be a bit tricky (we've all been there! ), and doing it with braces can be even more so. Try the following tip and ideas to take a better picture while wearing braces. You may be a candidate for Invisalign, a series of clear plastic aligners that are virtually invisible when worn. But even if Invisalign is not the right choice for you, there are multiple low profile or even hidden braces options that won’t be as obvious in pictures. Lingual braces are a popular choice. They are worn behind the teeth, so they won’t show at all when you’re smiling for a picture. In-Ovation Self-Ligating braces have smaller-looking brackets than standard metal braces, since there are no ties or elastics. This means that they'll be less apparent when you smile for a picture than traditional braces would be. The same goes for ‘translucent’ ceramic braces. Since the brackets on these are made of a tooth-coloured ceramic material, they blend in with your teeth, making your braces look less noticeable. If you want to take the opposite approach and fully embrace the 'braces look', make your braces stand out even more with some colour! The elastics that go on braces come in pretty much every colour of the rainbow, allowing you can choose a colour (or multiple colours) to add to your braces. In short, turn your braces into an accessory and express yourself with them! You can pick a colour that looks nice with your eye colour or skin tone, for example, or choose your school or team colours. The sky's the limit! Choosing a darker colour will make your teeth look whiter and brighter. Try to avoid bright white, as this will make your teeth look a bit darker and more yellow in comparison, and avoid browns and certain greens, as these can look like food stuck in your teeth. This is probably the most important step to take a good picture with braces. Keep your teeth clean and healthy by brushing and flossing often, and cleaning your braces themselves just as often. This will help you avoid having pictures taken with food stuck in your teeth, or with discoloured teeth due to lack of properly cleaning. We know they can take some getting used to, but try not to feel shy or embarrassed about your braces; own them and don’t hold back on smiling in pictures. After all, a big, happy, confident smile is an attractive smile. If it helps, practice smiling at yourself in the mirror, and remind yourself often that you look great with your braces! 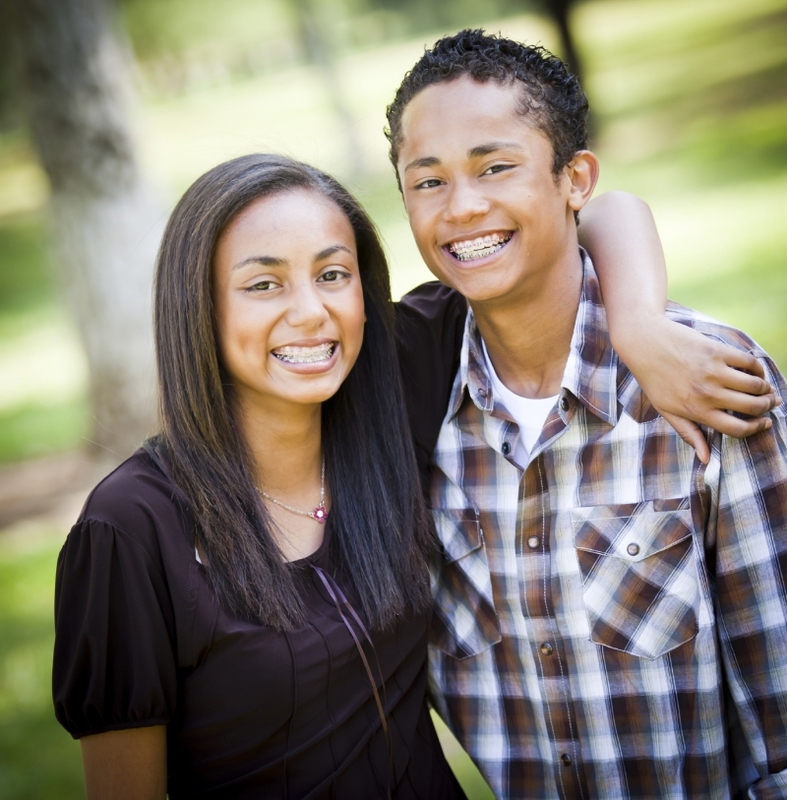 If you’d like to learn more about your options for lower profile braces, contact us at Langley Orthodontics today!